Recently the ExpressVPN router app stopped working in China after the latest crackdown on VPN services earlier this month. ExpressVPN has a new v2 beta firmware available for some models of routers, which you can get by asking the live chat support. After confirming that the new beta firmware was available for the Netgear R6300v2, I went ahead and purchased one on Taobao. I purchased mine from the 广州无线设备店 shop. The version I chose was R6300V2镜面 + 原厂 + 风扇 (stock firmware with an added external cooling fan). This router is advertised as "80% to 90% new". The price was 328 CNY including free domestic shipping. I received the router today and the condition looks very good. The extra cooling fan is a USB fan mounted on the back of the router that plugs into the USB port. It was only 10 CNY extra to get this cooling fan, which I think is a good value and very useful to have, especially if you are running a VPN on it. So far so good, but I ran into a major problem when I tried to flash the v2 beta ExpressVPN router app firmware. After doing some research, I found that I have the "Charter" version of the R6300v2. This is a special version made for Charter Communications, an ISP in the US. You can confirm if you have this version by logging into the web interface 192.168.1.1 with the default username: admin and default password: password. If you see the firmware version with CH at the end, then you have the Charter version. There is also a sticker on my router that says "PROPERTY OF CHARTER COMMUNICATIONS". I was able to download the standard ExpressVPN router app (alternate version) and flash it successfully. However, this standard version of the router app is not working in China. After talking to ExpressVPN support again, I found out that they don't have the new v2 beta firmware available for the Alternate/Charter version yet. They said they will send me an E-mail when it's available. But I'm too impatient to wait, so I had to find another solution. After doing more research, I found out that what I needed to do was change the "Board ID" to turn my Charter version R6300v2 into a standard version R6300v2. This process is not well documented, so I decided to write this article and show you the steps to change the board ID. You can skip this step if you already have the original stock firmware. In my case, I already flashed the standard ExpressVPN router app firmware, so I need to flash the stock firmware back. I had a really difficult time finding the stock firmware for this Charter version. The links I found on various forums were all dead, so I am going to host the file here on Tips for China. Download xv-netgear-r6300v2-v0.2.24.chk (stock firmware for R6300v2 Charter version). If you have successfully flashed the stock firmware, you should see the version number in the upper right corner of the web management page 192.168.1.1 with CH in the firmware name. Make sure you followed step 1 and have the stock firmware because other firmwares do not support telnet access. To enable telnet, I downloaded a utility called telnetenable2, which I found on this forum. Here is the download link that I used. I believe that this utility is only available for Windows, so you will need a Windows computer or virtual machine to complete this step. To use the telnetenable2 utility, you need to unzip the file and then place the te2 folder somewhere that is easy to access from the command prompt. I placed the te2 folder on my C: drive. Now, start a command prompt. If you are using Windows, you can press and hold the Win key and then press R, and then type cmd. Or you can type cmd after clicking on the Windows start button and then click on the search result for command prompt. Once you have the command prompt open, change to the directory where you placed the tenetenable2 folder. Replace MAC_ADDR with the MAC address of your router. When entering the MAC address, you need to delete the : symbols between the numbers. For example, if your MAC address is aa:bb:cc:dd:ee:ff, then you would enter it as aabbccddeeff. If the operation is successful, then you will see the output as shown below. Now that telnet is enabled, you can download a telnet client. I am using Putty. Enter the router IP address 192.168.1.1 and choose the connection type Telnet. If your telnet session connects successfully then you should see a command prompt. Enter the following 2 commands. If everything is successful, then you should see the output as shown below. Download the standard stock firmware from the Netgear website. After flashing this firmware, it should show the non-CH version in the upper right corner. Congratulations. You have turned your Charter version R6300v2 into a standard R6300v2. You will need to get the beta firmware from ExpressVPN live chat support. Download it using the link they provide and then flash it from the 192.168.1.1 web interface. The steps for flashing this firmware are similar to the tutorial I made for the EA6200. The only difference I found is that this v2 beta firmware requires you to have an internet connection on the router before you can access the settings to set up your WiFi name and password, etc. So you will need to connect the WAN port to the one of the LAN ports of your main router right away. The new interface looks like this. 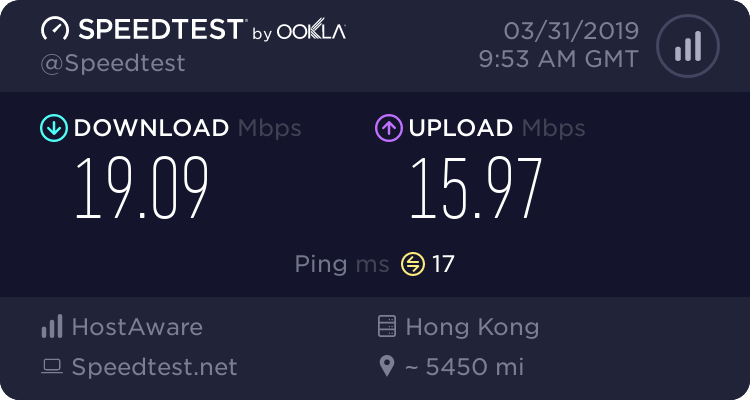 The maximum speed of the VPN on this router is around 20Mbps, as tested on the Hong Kong 5 server connected via the 5Ghz WiFi. In general, this seems to be a good quality router with good signal strength. The ExpressVPN v2 beta router app still needs some work. It is missing some functions such as being able to change the frequency of the WiFi signals. Hopefully it will be improved more before the final release. Overall, I think this router is a good value for the price.